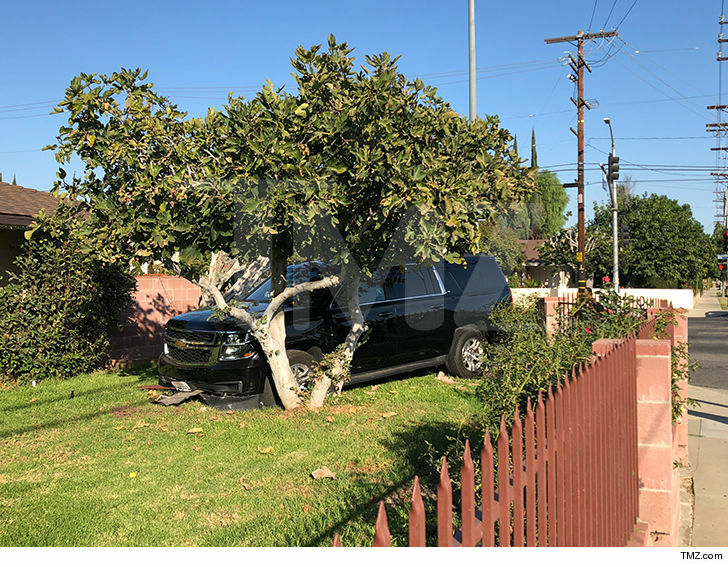 YG‘s ride slammed into someone’s front yard outside L.A. Tuesday afternoon, and from the looks of the scene … he’s damn lucky to have avoided a major injury. The SUV — a Chevy Suburban — is sitting smack in the middle of someone’s front yard, and it’s a total mystery as to what happened. We got photos and video from the scene … where YG is standing near the wreckage and, understandably, looking confused by the whole scene. The accident went down in the San Fernando Valley. The rapper was a passenger, riding in the back of the Uber-driven ride, according to sources close to him. There were no other vehicles involved in the accident. It’s still unclear what happened to the driver … or why he went off the road. It’s a good bet, though, someone is NOT getting 5 stars.